I watched a little girl at school refuse to get out of her seat and get pounded by the police. I watched a teenager in his car try to zoom away from a cop and get shot dead through the driver’s side window. I watched all of these things and more from the safety of my cell phone. I wasn’t there in person, but I felt like I was. It seems these two events were on everyone’s lips yesterday. This is one of the fruits of self surveillance – the selfie, the dashcam, the youtube video. Events that would have been shrouded in the haze of he-said-she said are now public domain. The shadowy corners and back alleys are now just as flooded with spotlights as the most crowded theater on Broadway. In some ways, that’s a really good thing. So many events that only a decade ago would have been hidden forever are now open to public view. You’d think that would solve a lot of our society’s problems. No more secrets. No more lies. Just objective facts. THIS is what happened. No denying it. We’ll need context, but facts are facts. Now we can come together and decide with clarity what really happened, why it happened and who’s to blame. However, things don’t always work out as you’d expect. We can – in fact – agree on the facts but not necessarily on their meaning. We all see the same images but we somehow don’t see the same things. The same light enters our eyes and forms the same images, but our brains process those images very differently. We all see a little girl forcibly removed by an officer of the law. We all see a victim and a perpetrator. But which is which? We all see a police officer exit his car, approach another vehicle which flees from him before he draws his gun and shoots. But who is to blame – the cop or the driver? We come to different conclusions. And I think the reasons why depend on deep human truths about each of us. Which side you take says something about you. It shows what kind of person you are, what you value, what assumptions you make about human nature. When I watch that South Carolina police officer violently grab the little girl and throw her from the room, I focus on the child. Here is a 16-year-old black teen. She apparently was told to leave the room and refused to do so. She was wrong. But my heart won’t let me side against her. Maybe she hit the officer. Maybe she was verbally abusive. It doesn’t matter. I don’t think a police officer – or any adult – should manhandle a child. If she had a gun, a knife or some weapon, that would be different. But she was just sitting peacefully in her seat. She probably deserved some sort of punishment for insubordination – but not one that would cause her physical harm. I’d be furious if someone treated my daughter that way. And so I am angry at this police officer and all the bystanders who took pains to ignore what was going on. In a similar manner, when I watch another South Carolina officer approach 19-year-old Zachary Hammond’s car, I begin on the adult’s side. When the teen starts to drive away, I’m with the police officer. The teen is breaking the law. He should listen to the cop who is reasonably asking to question him. However, when the officer draws his gun, things get muddy for me. As the car drives away and the officer shoots into the window, I demand answers. All ambiguity disappears when I discover the teen was unarmed. He wasn’t pointing a gun at the officer. As you can clearly see, the car was not pointed at the cop. The adult was obviously in no danger. The officer overstepped his bounds. Despite his claims of self defense, despite prosecutors siding with him, I cannot. It seems to me this 19-year-old boy out on a first date was victimized. Yes, he may have had drugs in his system. Yes, he may have possessed drugs with the intention of selling them. None of that justifies murder by a public servant who is charged with protecting and serving society. It may justify arrest, but it does not give the officer the right to be judge, jury and executioner. Imagine if death was the consequence for your own 19-year-old misdeeds! Far too high a price. However, there are many who disagree. They side in both cases with the adult, with the police. And I see their point to an extent. Police have very difficult and dangerous jobs. They put their lives on the line to uphold laws that are sometimes ambiguous and of dubious value. But there needs to be limits to their authority. What I find even more troubling is the dynamic between adults and children. Too often grown ups act as if they can do whatever they want to young people. They can touch, hit, belittle. And all in the name of discipline and order. But maybe this says more about me than anything else. I care deeply about children. Not only am I a parent, I’m a public school teacher. I’ve devoted my life to helping young people get a good start in life. As such, I think violence against children is the most heinous thing anyone can do. It is despicable beyond words. Harming or killing an adult is bad. But do the same thing to a child and it is much worse. This should be a shared value. It should be a tenet upon which our society is built. But instead too many of us blame the child or the parents. We’re presented with facts but lapse into assumptions about the child’s upbringing and the parents shortcomings. If the youngsters parents had done this or that, things would have been different. And – heck! – that may even be true! However, unlike our infinite surveillance of moments, the facts are not there. We have no record of mass parental neglect. We have just the opposite. In so many cases parents work multiple jobs to feed and clothe these children. They work night shifts. They take classes to improve themselves. So they can’t be present to the degree they’d like. But here we are passing the blame with nothing to support our assumptions but a feeling in our bellies. And we’re so deadly certain about it. It’s sad really. We all can see the same events but remain unclear about the blame. We share the same senses and most of the same values. But our life experiences and prejudices make all the difference. When an adult looks at these situations and sides against the child, I think it shows a terrible blindness. 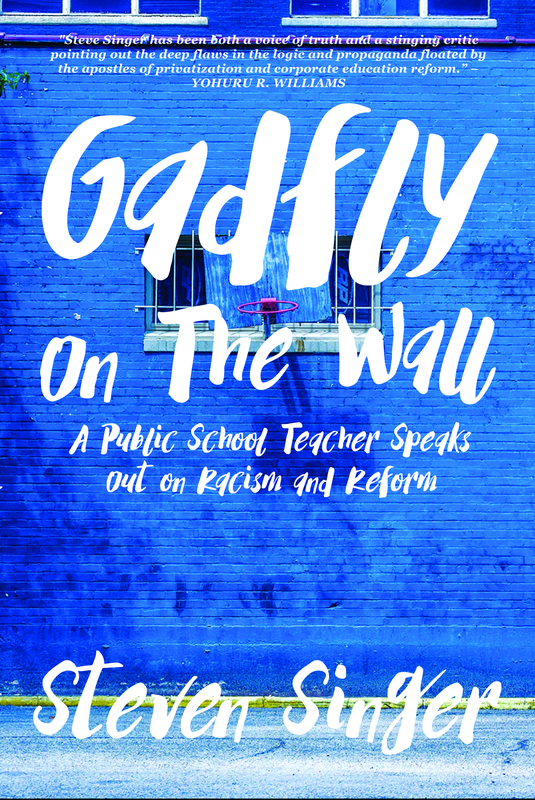 When some people look at the student roughed up in the classroom, they automatically side against her for a variety of reasons – race, gender, age, etc. among them. They have preconceptions about how black people act. Preconceptions about little girls. Preconceptions about poor children and their parents. And frankly it shows their moral judgment to be sick, diseased and untrustworthy. Likewise, when some people see the teen gunned down in his car, they have preconceptions about the police and young people. Anyone on the other side of a police officer’s barrel is wrong simply by virtue of the direction in which he is pointing his gun, they might say. Police are defined as right. Suspects are defined as wrong. This is deeply troubling. It’s counterfactual. It’s untrue. Police are just humans, too. They can be wrong. They have been wrong. If we always assume they are correct in every situation, we are being morally lazy and willfully blind. We’re refusing to look at the facts and then judge accordingly. We stop at who is involved and not at what they did. It’s so easy to blame the victim. It’s reassuring and safe. It means nothing is out of sorts with the world. Everything is just as it should be. Only this one person who was beaten by the police or shot dead – only that person is to blame. The social order remains intact and proper and good and justified. It takes a kind of intellectual and moral honesty to look the world in the face and accept that which is uncomfortable but true. Sometimes those charged with protecting us actually do harm. Sometimes adults know less than children. Sometimes actions are racially motivated. Because when we watch the world, the world looks back. We reveal ourselves. And sometimes we show the world exactly how ugly and depraved we can be as a nation. What a profound and thoughtful post! It’s really hard for me to understand how some people can lack the empathy — it seems like maybe it’s a lack of imagination? — to be able to see themselves in someone else’s shoes, especially if the person seems “different” in some way. This is an interesting observation and falls victim to the “one sided” argument. I personally hold both these cases in different lights. The officer was not to blame with the girl.. But the officer was wholly at fault with firing into the car. However. That said. Allow me to alter your quote..
To that I will add that they are stuck in a self perpetuating feedback loop of other children AND Adults who will excuse their behavior and attack the system of authority, rules, and decorum as being as being at fault for behavior that would never have been tolerated previously. We seem to attempt to weigh outrageous behavior against personal circumstance. And then we attempt to equate the eventual outcome with the original offense. IE.. She only texted on her phone and was thrown across the room for it..
No. She texted on her phone. Something the teacher had told her, and her classmates innumerable times not to do. She deliberately disobeyed the teacher and was a distraction to the class. She was also an example of abuse of authority figures. When you willfully disobey a teacher, a parent, a cop and there is NO consequence. It is open acceptance of ANY abuse of the rule of laws and rules. There are consequences that MUST be maintained. So.. she openly disobeys the rules of the class. Then she willfully disobeys the instructions of the teacher. Then she willfully disobeys the instructions of the next 2 authority figures who come to the scene. After THAT the cop is summoned. She not only willfully disobeys him.. but physically assaults him. THEN.. and only THEN is she taken to the floor and physically removed. Now.. The officer has been fired and she’s suing.. The lesson learned, taught and one that will be repeated.. Disobey.. Do whatever you want.. And when the consequences of your actions come home to roost.. Not only will you get your way.. But you’ll get a payoff as well. The lesson the educator and police are quickly learning and which is being repeated.. Any attempt to enforce the laws or rules will be met with your swift and immediate dismissal.. If not also with you being sued and possibly jailed. Rockheim, I’m not saying the little girl should have gone unpunished. I don’t think anyone is. I am saying that whatever her infraction was it didn’t merit being physically assaulted by an adult. Grown people should not assault children. Even grown police officers. That I have to explain this to you only makes my point. I find your blogs a good read. I think blogging is very opinionated; however, I find that you make good arguments rather than ranting on about your own biased thoughts. There are areas in education and police work that are very difficult to problem-solve due to personal conflict. I learned in an education class years ago that there are three ways people use power: power over where authority uses some form of force; power with which shares more equitable choices by all in involved; and, power for which takes power and lends it to someone of lesser power for empowering goals. Force usually doesn’t work well as shown in the video; the hardest aspect of this conversation is finding better options for the girl who really does need to be disciplined and those who are going to have to do it. Dealing with defiant and escalating behavior that could potentially hurt others is a hard place to be as a teacher and a police officer. Instead of the sensationalized versions, I would have rather had a longer view of what happened to help me understand more. The whole version is better at telling the truth that needs to be heard; both sides need accountable intervention here…judging or fault-finding doesn’t produce more effective outcomes nor does letting one side off the hook due the egregious behavior of the other. Both the girl and the authority figure were choosers; thus, viewers are better off looking at solutions that help both individuals who are choosing to use violence as a way to handle conflict in their environments. She can’t behave that way and expect success; and, he can’t use force to control or diminish her behavior. She was in a new school. She looked at her phone (no one has said she was texting). The teacher told her to put it away. She did, and apologized. The teacher then escalated the situation, and created the distraction. 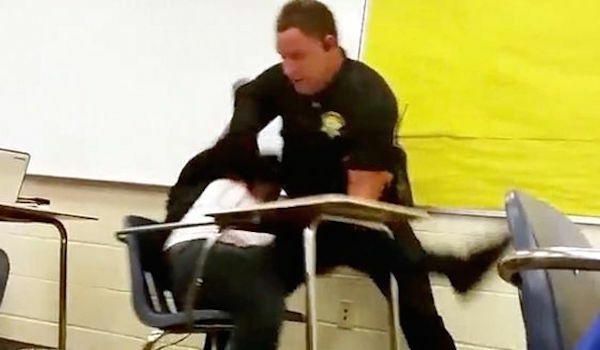 No competent teacher, or administrator, or police officer would have done what followed. This was the fault of the adults. That you don’t see that says volumes about your lack of empathy, imagination, and decency.